John Fraser, who has wowed diners at his Upper West Side restaurant Dovetail, is the chef at Narcissa, located inside The Standard East Village NYC. The menu is American-inspired with some worldly flair, and includes a Greek-style lamb. Narcissa, The Standard East Village NYC, 25 Cooper Sq., New York, NY 10003, 212-228-3344. 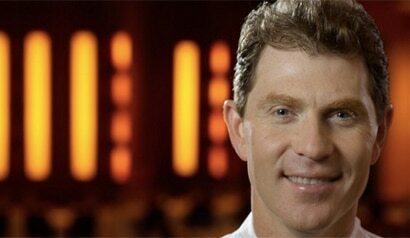 Celebrity chef Bobby Flay (Mesa Grill, Bobby Flay Steak, Bar Americain, Bobby’s Burger Palace) has opened a new Mediterranean restaurant in New York called GATO. The eatery has a large bar and lounge area as well as an open kitchen. GATO, 324 Lafayette St., New York, NY 10012, 212-334-6400. The Wayfarer has opened inside The Quin hotel. The restaurant offers a seafood-heavy menu (with plenty of small plates for snacking) by chef Braden Reardon. The Wayfarer, The Quin, 101 W. 57th St., New York, NY 10019, 212-691-0030. Jean-Georges Vongerichten (Jean-Georges and ABC Kitchen in New York City, among many others) opened a restaurant in the Hudson Valley on January 21, 2014. The Inn at Pound Ridge by Jean-Georges offers a market-driven menu executed by chef Blake Farrar. The Inn at Pound Ridge by Jean-Georges, 258 Westchester Ave., Pound Ridge, NY 10576, 914-764-1400. GRK Fresh Greek will open a second location in Manhattan, joining the original GRK Fresh Greek in the Financial District. The restaurant offers a quick-service approach to Greek cuisine with a focus on high-quality ingredients. The menu keeps things simple with a few salads (Greek, lentil or garden salad), sides (potato chips, brown rice with herbs) and "yeeros" made from locally sourced meat. These are not your average gyros --- hence the creative spelling. Choose from chicken, pork or lamb and beef wrapped in a house-baked pita or served on a plate with a side. GRK Fresh Greek, 451 Lexington Ave., New York, NY 10017, no phone. Esca chef Dave Pasternack is reportedly teaming up with LDV Hospitality (that owns Scarpetta, among other restaurants) to open an Italian-accented seafood spot on West 23rd Street. The restaurant will open this coming spring. Esca, 402 W. 43rd St., New York, NY 10036, 212-564-7272. Daniel Boulud is heading to Boston. The French chef is taking over Asana, the restaurant housed in the Mandarin Oriental, Boston. Boulud Sud's opening chef, Aaron Chambers, will be running the kitchen. Mandarin Oriental, Boston, 776 Boylston St., Boston, MA 02199, 617-535-8880. Egg, the popular all-day brunch spot in Williamsburg, is moving. At the end of February, the restaurant will relocate about two blocks to the space vacated by two-year-old Parish Hall (109 N. 3rd St.). Until that time, Egg will remain open at its original address. The new space is bigger, which will help alleviate the lines of hungry hipsters. Egg, 135 N. 5th St., Brooklyn, NY 11211, 718-302-5151. Pastis, the achingly scene-y Meatpacking District restaurant, will close after February 28, 2014. The building that houses the bistro is being renovated. Owner Keith McNally has signed a 15-year lease on the space, so Pastis lovers should have no fear: the restaurant will reopen in 2015 and be around for a while after that. Pastis, 9 Ninth Ave., New York, NY 10014, 212-929-4844. Tertulia, the still-ever-hip and popular Spanish spot in the West Village, has had a no-reservations policy since it opened nearly two and a half years ago. But all that's changed recently and reservations are now accepted. However, be warned: reservations are limited as the restaurant prefers holding tables for walk-ins. Tertulia, 359 Sixth Ave., New York, NY 10014, 646-559-9909. The James Beard Foundation has announced that Sirio Maccioni, the restaurateur behind Le Cirque, will receive the 2014 James Beard Foundation Lifetime Achievement Award at the James Beard Foundation Awards on May 5, 2014. Following the ceremony at Lincoln Center, Maccioni will also be honored at a VIP event featuring food prepared by chefs from his three New York City restaurants: Le Cirque, Circo and Sirio Ristorante. Maccioni was previously named Best Restaurateur in the U.S. (2008) in GAYOT’s Annual Restaurant Issue. Le Cirque, One Beacon Court, 151 E. 58th St., New York, NY 10022, 212-644-0202. News has just broken that chef, author and TV food/travel personality Anthony Bourdain is working on bringing a massive international food hall/market to Manhattan. There's no word yet on the location, but Bourdain has said he wants to bring his favorite street food from around the world --- think Singapore, Thailand, Vietnam, Spain, Hong Kong --- and put them all in one spot. El Sombrero, the longtime Lower East Side Mexican restaurant, was set to close due to a lease issue. But the eatery has a new lease on life. At least for a while. The restaurant may still have to shut down in 2014. Stay tuned. El Sombrero, 108 Stanton St., New York, NY 10002, 212-254-4188. 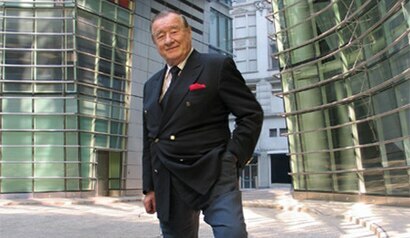 Restaurateur Joseph Santo has passed away at 84, after complications from heart surgery. Santo owned several restaurants on the Upper East Side. The most popular was Sign of the Dove, which was open for decades but shut down in 1998. Rotisserie Georgette, the new French restaurant on the Upper East Side from Daniel Boulud's erstwhile PR person, Georgette Farkas, already has a new chef. Out is David Malbequi and in is another Boulud veteran, Chad Brauze. Rotisserie Georgette, 14 E. 60th St., New York, NY 10022, 212-390-8060. West Village barbecue restaurant Bone Lick Park has closed. Bone Lick Park, 75 Greenwich Ave., New York, NY 10014, no phone. 7A, a restaurant in the far East Village, has shut down. In its place, it is rumored that Paul Salmon, part owner of Miss Lily's and Joe's Pub, might be interested in opening up a restaurant. 7A, 109 Ave. A, New York, NY 10009, no phone. Peels, the Southern restaurant on the Bowery that was opened and run by the people who brought you Freemans, has closed. Rumors are swirling that space is being eyed by Andrew Carmellini for a casual Italian restaurant, not unlike his popular TriBeCa spot Locanda Verde. Peels, 325 Bowery, New York, NY 10003, no phone. Williamsburg eatery Gwynnett St. briefly shut down and then opened up as something entirely new: Lachlan, a gastropub serving up burgers and fried chicken sandwiches. Gwynnett St., 312 Graham Ave., Brooklyn, NY 11211, no phone. Grotto, an Italian restaurant on the Lower East Side, has served its last plate of pasta. The restaurant is closed. Grotto, 100 Forsyth St., New York, NY 10002, no phone. Greenwich Village mainstay Gray's Papaya, anchored on the corner of Sixth Avenue and W. 8th Street, has shut down. The other hot dog-slinging Gray's Papaya outlets around town remain open. Gray's Papaya, 402 Sixth Ave., New York, NY 10011, no phone. After 20 years, the SoHo lounge Naked Lunch has poured its last cosmo. A new cocktail bar, the Regent Cocktail Club, will open up in the space in the coming months. Naked Lunch, 17 Thompson St., New York, NY 10013, no phone. Park Avenue Winter, the restaurant that changed its menu and décor based on the season, has shut down. It has been forced to relocate and has not yet found a new location. Park Avenue Winter, 100 E. 63rd St., New York, NY 10021, no phone. Pulino's Bar & Pizzeria has closed. Owner Keith McNally has shuttered the largely failed pizzeria and will open a French restaurant in its space on Bowery and E. Houston Street sometime later this year. Pulino's Bar & Pizzeria, 282 Bowery, New York, NY 10012, no phone. Williamsburg Vietnamese restaurant An Nhau has shut down. An Nhau, 172 Bedford St., Brooklyn, NY 11211, no phone. Chef Alain Allegretti has closed La Promenade, the Chelsea restaurant formerly known as La Promenade des Anglais, to focus on his Atlantic City-based eatery Azure. La Promenade, 461 W. 23rd St., New York, NY 10012, no phone.